The S. S. Atlantus is probably the most famous concrete ship. She was built by the Liberty Ship Building Company in Brunswick, Georgia and launched on December 5, 1918 and was the second concrete ship constructed in the World War I Emergency Fleet. The war had ended a month earlier, but the Atlantus was used to transport American troops back home from Europe and also to transport coal in New England. In 1920, the ship was retired to a salvage yard in Virginia. In 1926, the Atlantus was purchased by Colonel Jesse Rosenfeld to be used as ferry dock in Cape May, New Jersey for a proposed ferry between Cape May and Cape Henlopen, DE. The plan was to dig a channel into to the shore where the Atlantus would be placed. Two other concrete ships would be purchased to form a Y-shape where the ferry would dock. In March 1926, the groundbreaking ceremonies were held for the construction of the ferry dock. 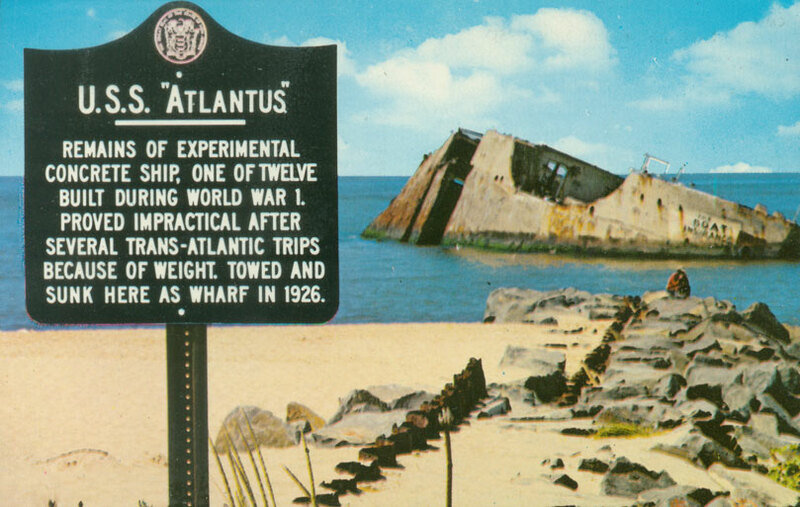 The Atlantus was repaired and towed to Cape May. On June 8th, a storm hit and the ship broke free of her moorings and ran aground 150 feet off the coast of Sunset Beach. Several attempts were made to free the ship, but none were successful. Since then the Atlantus has become a tourist attraction seen by millions. People used to swim out to the ship and dive off, until one young man drowned. At one time, a billboard was also placed on the ship. Starting in the late 50's, the ship began to split apart in the midsection. 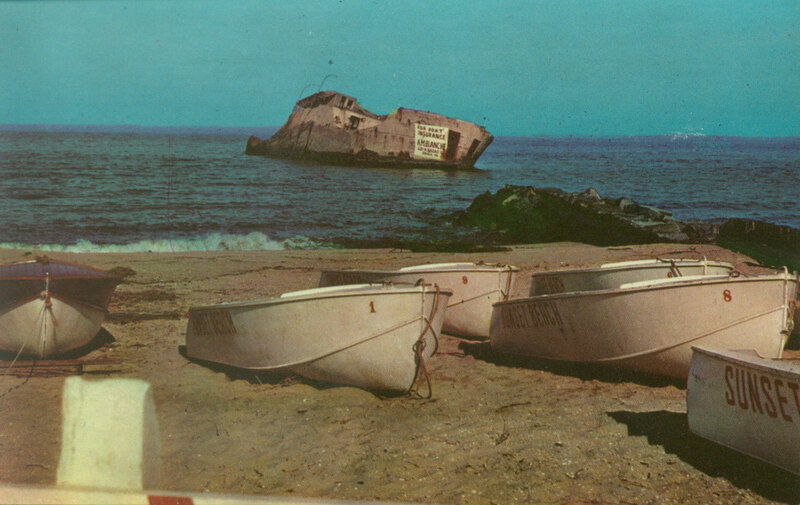 The S. S. Atlantus can be seen at Sunset Beach in Cape May, NJ. Unfortunately the ocean has taken its toll on the ship and she has broken apart. It's only a matter of time before the last of her remains crumble beneath the waves. built during World War 1. Attempt to free her were futile. This entry was posted in Cape May Blo, Cape May Blog on April 28, 2013 by Ryan Reclaim.